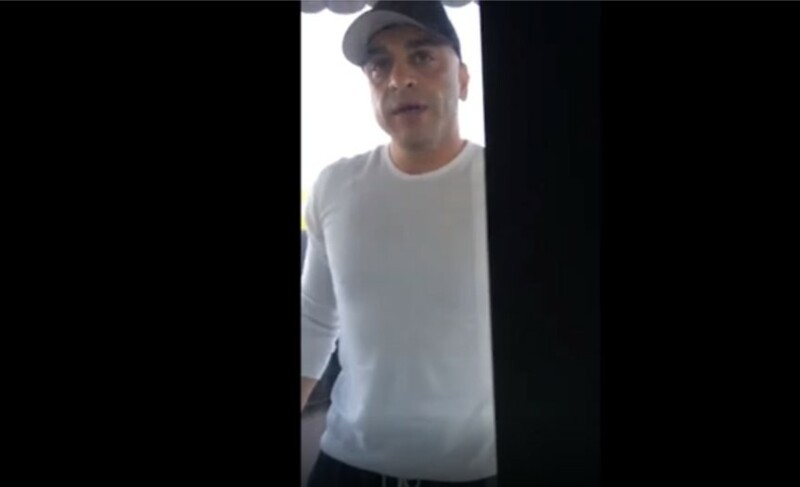 LOS ANGELES – Video released this week by the Los Angeles County Civil Service Commission shows recently reinstated sheriff’s Deputy Caren Carl Mandoyan apparently trying to break into his ex-girlfriend’s home. The video was recorded in 2014 by Mandoyan’s ex-girlfriend, also a deputy, who accused the 10-year department veteran of domestic violence and sought a temporary restraining order against him. Mandoyan was fired in 2016 after officials determined he lied when he denied trying to break into the woman’s apartment, and his termination was upheld by the Civil Service Commission. But Mandoyan was reinstated after Sheriff Alex Villanueva defeated incumbent Jim McDonnell in November’s election. Mandoyan volunteered on Villanueva’s campaign and was on stage with him when he was sworn in. The Los Angeles County Board of Supervisors, which has limited authority over the sheriff because he is an elected official, filed suit to void Villanueva’s decision to reinstate Mandoyan. The board is arguing that the sheriff doesn’t have the authority to override the commission’s decision. Villanueva says he wants to right wrongs created when new standards of discipline were put in place. Those standards have been challenged by the union representing rank-and-file deputies and a hearing officer of the Employee Relations Commission found they were prematurely implemented. Stricter punishment for deputy misconduct was implemented by both Sheriff Lee Baca and McDonnell based on recommendations from the Citizens’ Commission on Jail Violence. Villanueva characterized those changes as “trying to chop off as many heads as possible to then claim to be a reformer,” while the board and criminal justice advocates worried about reverting to 2012 standards. Villanueva said at a news conference Wednesday “there was no evidence of domestic violence, there was no evidence of attempted burglary” against Mandoyan. 8 comments for "Video shows reinstated deputy trying to break into woman’s home"
LAC taxpayers subsidize corruption, cowardice, incompetence and employ buffoons like Villanueva and Mandoyan. I’ve seen corruption from these officers time and time again. This man will NOT have my respect if he pulls me over. Let us know how that works out for you…LOL!!! I watched that video. Breaking the law with impunity! Anyone other than a cop would be arrested. How am I supposed to feel safe with corruption like this? Avoid any involvement with cops. In my business I had a firm rule of no service to cops. If a customer has a complaint I try to come to some sort of compromise where they can be satisfied, but sometimes a customer will take it into their head that you somehow ‘owe’ them a five thousand dollar job just because they don’t like something about the two hundred dollar job they paid for. Telling such a customer flat out no sometimes has consequences, but they usually know that they have to be reasonable to get anything. If that customer is a cop it can come down to being run out of business, arrested, or shot, and if they are totally unreasonable you still have to think about that if you say no. Same thing with relationships. Don’t marry ’em, don’t date ’em, don’t even hang out with them is the only way to avoid situations like this guy’s gf found herself in. The old “get a restraining order” or whatever doesn’t work on people who think they are above the law, and cops, from a practical standpoint, are above the law…or at the very least present a major challenge when you go looking to have the law enforced against them. The Los Angeles police department is not far from being just like “law” enforcement in Mexico. Corrupt, Corrupt, Corrupt.